Losing a baby any time after 16-18 weeks gestation may still lead to breast milk coming in to the breasts a few days later. This is because the arrival of milk is driven by the drop in hormones following the delivery of the placenta—irrespective of whether a mother planned to breastfeed or not. A mother may not have anticipated the presence of breast milk and may find it very upsetting. While some mothers will want to stop lactation as soon as possible after stillbirth, miscarriage or loss of a baby, others may take comfort in pumping and donating breast milk. This article looks at a mother’s options to cope with lactation after stillbirth or loss of a baby. The key to stopping breast milk production is to express just enough milk to stay comfortable. This will avoid severe enorgement (breasts painfully full, tender and swollen with milk) and reduce the risk of mastitis (inflammation of the breast) while also sending a signal to the breasts to reduce milk production. Cold compresses (e.g. frozen peas in a damp cloth or chilled cabbage leaves) held against painful areas of the breast for twenty minutes at a time can reduce any pain or inflammation. There is some evidence that cabbage leaves may be better than cool gel packs for reducing engorgement1. Take pain relief as needed and as recommended by your health care professional. Binding the breasts with tight cloths or wearing a very tight bra is not recommended as a way to reduce milk production—ignoring sore, tender breasts without expressing to comfort can lead to breasts becoming very painfully engorged. A firm, well fitted supportive bra is recommended2. If engorgement is ignored it can lead to painful blocked ducts or mastitis (sometimes known as milk fever) which, if not treated promptly may require antibiotics or could lead to a breast abscess. Bromocriptine inhibits prolactin secretion, and can be effective if given early in lactation, while prolactin levels are high. However, it may be less effective after some weeks when prolactin levels are low. It has been withdrawn from use for this indication in several countries because of the risk of myocardial infarction, hypertension, seizures and strokes. Other side effects reported include nausea, dizziness, hypotension, and severe headache. Cabergoline is similar to bromocriptine, and also inhibits prolactin secretion. It is longer acting. It may have some of the same minor side effects including headache, dizziness, hypotension, and nose bleeds, but is considered safer. Hormonal birth control pills and certain decongestant medication (containing pseudoephedrine) can also reduce a milk supply in some mothers. For further information about using any of these drugs to dry up breast milk consult with your doctor. If a mother is interested in pumping and donating breast milk she can find her nearest milk bank in the United Kingdom at United Kingdom Association for Milk Banking (UKAMB) and in North America at Human Milk Banking Association of North America (HMBANA). Monique’s story of milk donation may be helpful; Freya’s Gold: Milk Donation After Loss (Lactation Matters, ILCA). As long as a mother keeps pumping she will keep making breast milk. When she decides to stop donating milk, she can gradually pump less often and for shorter pumping times over a period of a couple of weeks. In this way her breasts will adjust naturally so that the production of breast milk can come to a gradual end without engorgement. Internationally; International Stillbirth Alliance; find member organisations by Country. In United Kingdom; Sands—Stillbirth and Neonatal Death Society offers support by telephone, email and forums. In United States of America: Share Pregnancy & Infant Loss Support. There are many other support websites that a mother or her supporters may find helpful including Glow in the Woods and Still Standing Magazine. 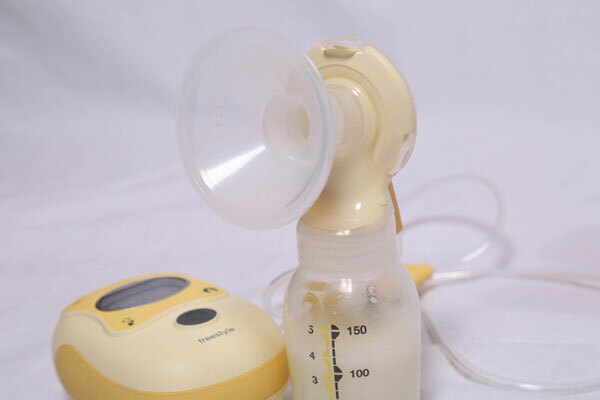 To stop lactation after miscarriage, stillbirth or infant loss, express just enough milk to stay comfortable by hand expressing or using a breast pump—the milk supply will gradually reduce. There is no evidence that using prescription medication to dry up breast milk is more effective than expressing to comfort. Some mothers choose to pump their milk and donate it to a milk bank.